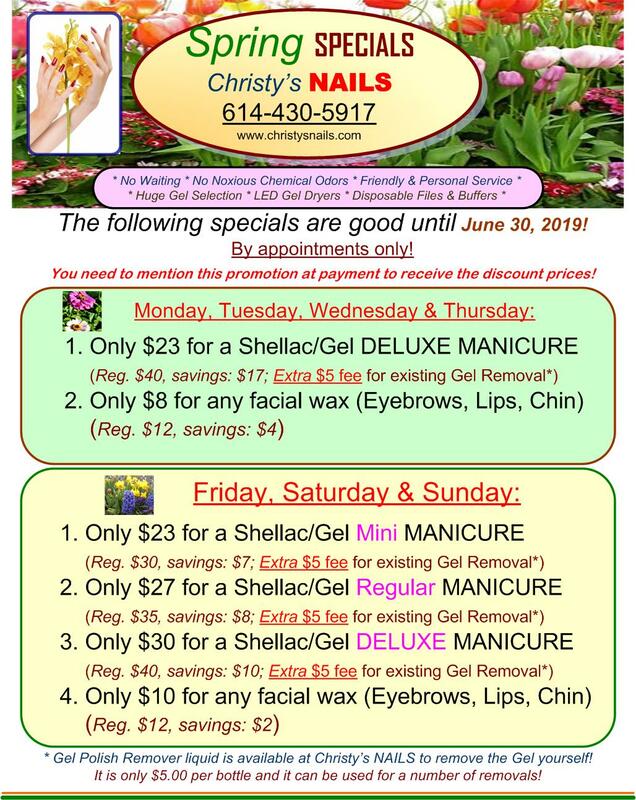 "The greenest nail salon in town!" 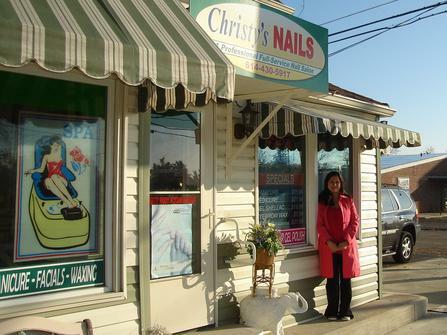 Welcome to Christy's NAILS, "The greenest nail salon in town!" then Christy's NAILS is your place! while you are at our salon! "I checked out your services recently and was amazed. Christy, you are the best!" "I've never seen a huge selection of Shellac & Gel polish like this before! This place is certainly a great place for Shellac/Gel Nails. No smell of chemicals at all! Wonderful service and you do not have to wait if you call and make appointment in advance! Thanks to you, Christy. You are one of the best Gel nail techs I have ever known!" 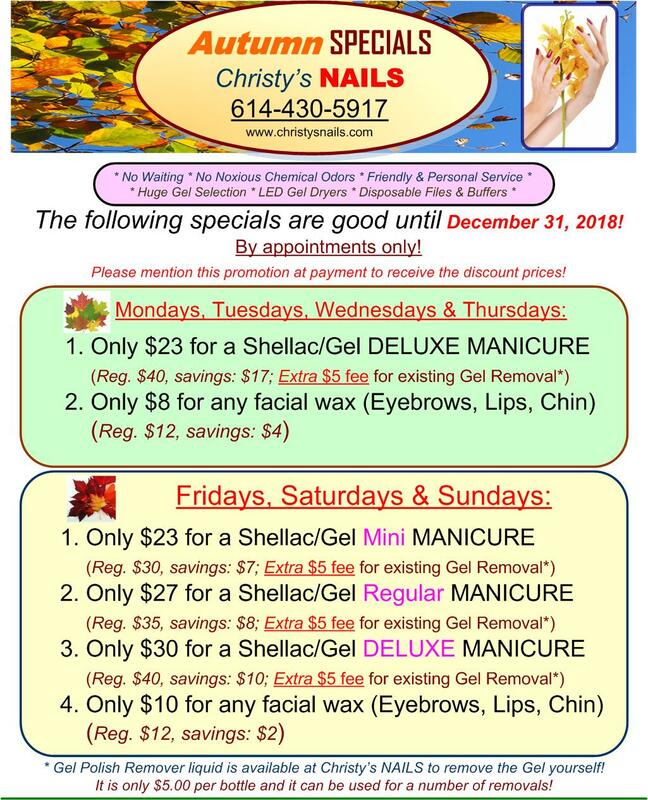 Gift Certificates are available at Christy's NAILS! 2290 W. Dublin Granville Rd. 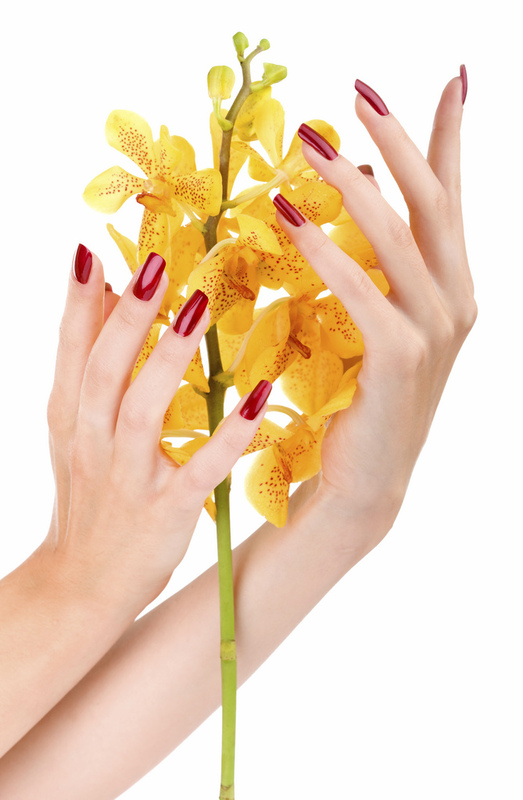 We are committed to provide our customers the best quality Shellac/Gel Nail service at an affordable price! * We use LED lamps to dry your Gel nail polish. These lamps do not pose a health risk because they don't emit ultraviolet radiation! * We apply nail strengthener vitamins to protect your natural nails and to help damaged nails grow healthier and stronger.